Art is a creative outlet for all types of expressions – emotions, social movements, etc. In Rio de Janeiro, graffiti is legal, making it a very popular form of street art. Young Brazilian artists from low-income communities, called favelas (shanty towns), have embraced this art form as it is a healthy way to express their thoughts and feelings about their community, society, world and more. By volunteering in the graffiti project, you have the unique opportunity to meet and work with some of Rio's best established and emerging street artists. You can learn from them and use your knowledge to teach children in the local community, while making the neighborhood a beautiful place at the same time. As a graffiti volunteer in Brazil, you will be learning from some of Brazil's best street artists and then using your new skills to complete art projects. Fluency in Portuguese is recommended, but English is required. You should also have a passion to help young children. Volunteers with backgrounds in art are preferred. Volunteers should be good role models, flexible, respectful, patient, caring and creative. The volunteer project is based in Rio de Janeiro, one of the most exciting cities in Brazil. Whether you like fantastic natural views, history, relaxing on beaches, restaurants, nightlife, or adventure tours – Rio has it all. There have been many tales and anecdotes written about beach life of Ipanema and Copacabana. Both the beaches are very close from your accommodation. Lapa is right next to where you live. It's famous for nightlife and is also frequented by many creative minds like the artists. Other places of interest include Christ the Redeemer, Sugar Loaf Mountain and the Maracana stadium. The annual Carnival, which draws huge crowd, is a very popular festival. During the program, volunteers will have plenty of free time in the evenings and on weekends. While Global Crossroad does not specifically arrange activities during volunteer free time, our local staff can provide free advice, travel tips and assistance in making suitable travel arrangements in Brazil. 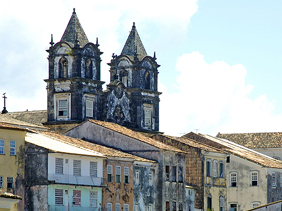 Volunteers will have the chance to immerse themselves in a new culture and explore Brazil. This experience will be educational and a time for personal growth. Rio de Janeiro is the most visited city in the southern hemisphere.